CAMBRIDGE, Mass. | The conversation and beer flowed as Massachusetts craft beer legends Jim Koch, founder of Boston Beer co., Dan Kenary, founder of Harpoon, Will Meyers, brewmaster at CBC, and Rob Burns, co-founder of Night Shift and president of the Mass Brewers Guild, came together with five Beer Trail Conquerors for a special dinner at Cambridge Brewing Co. 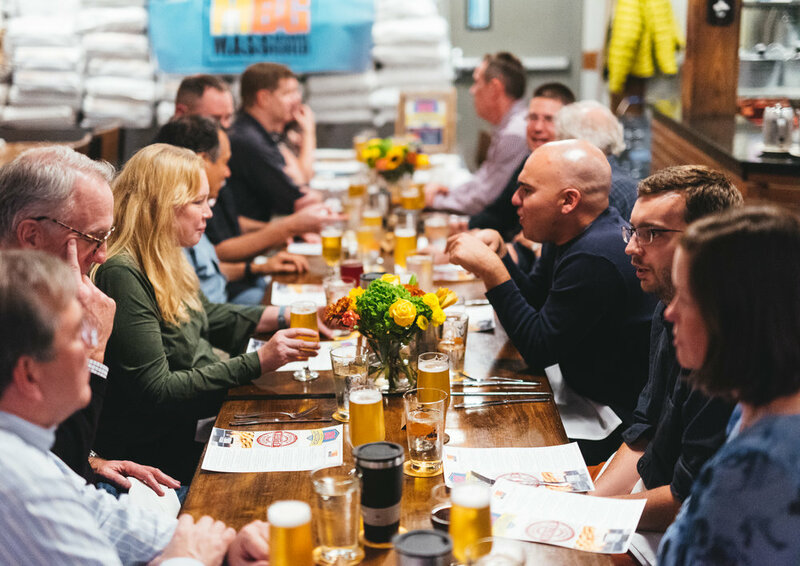 The dinner was hosted by the Mass Brewers Guild, the craft beer industry’s trade association, to celebrate fans who achieved Beer Trail Conqueror status by visiting 100 breweries in one year using the nonprofit’s passport program. The mobile app, “Mass Craft Beer,” celebrated its one year anniversary this past September and currently has 9,800 downloads. Seventeen craft beer super fans took on the challenge and conquered the trail. 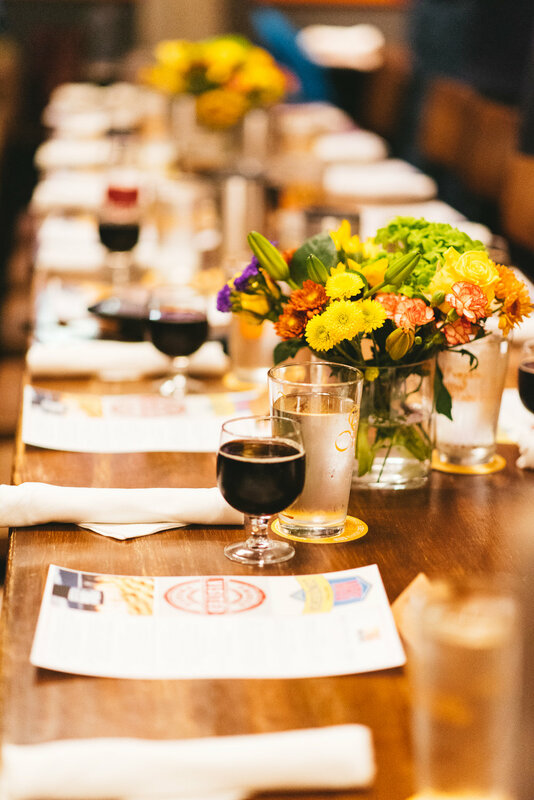 Five names were drawn at random to attend the Mass Craft Beer Dinner. 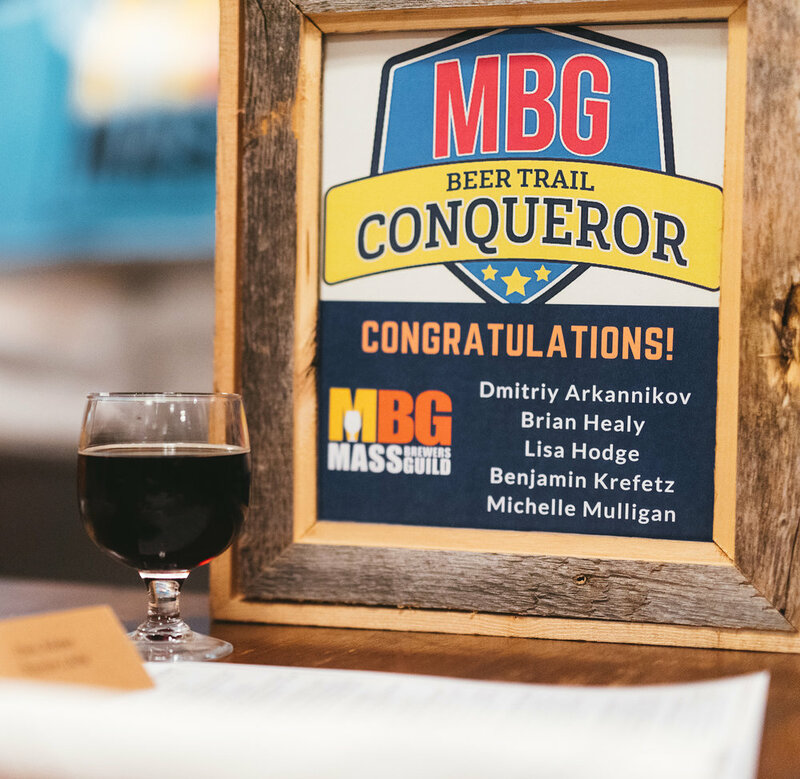 Many of the Beer Trail Conquerors had coincidently met before, either striking up a conversation at one of the Mass Brewers Guild’s festivals, or bumping into one another at breweries while chasing each other on the leaderboard. Brian Healy was the first to complete the trail, with Bob Kelley, co-founder of the Mass. Brew Bros., hot on his heels. Both Bob and Brian carry their original Mass Brewers Guild paper passports in their wallets and as new breweries open they see if taprooms can stamp them for old times’ sake. The Mass Brewers Guild saw the need to digitize the program so they could keep it updated in real time. The app also reduces paper waste and ensures that craft beer fans will never miss another stamp with the app on their phone. The original paper passport program only featured 43 breweries when it launched in 2013. Today, Massachusetts has more than 160 breweries, with 30 in-planning slated to open in 2019. The free app is available in iTunes and Google Play stores and is made possible thanks to the generous support of the Mass. Brew Bros. who assist with data collection, Fat Basset Design who provides badge artwork, and to New England Label for their marketing support. Funds raised through the Mass Brewers Guild’s festivals, Power Beer Fest and the Mass Fermentational, help to cover development updates and maintenance costs. The four course beer pairing dinner ended with a blondie drizzled in beeramel, topped with CBC wort ice cream, and paired with a sipper of Samuel Adams Utopias 2017. 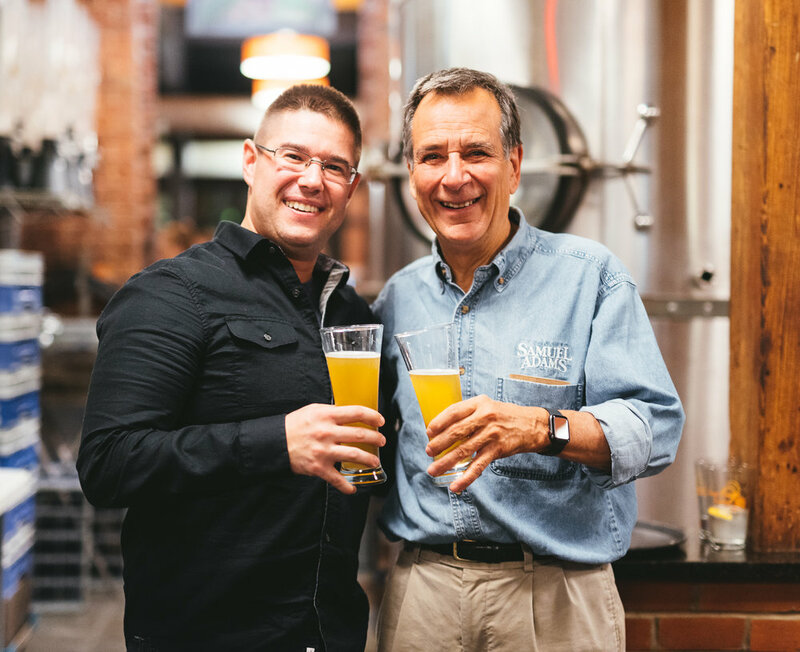 “If you didn’t drink it, we couldn’t make it – so thank you -- cheers,” said Jim Koch, founder of Boston Beer Company. 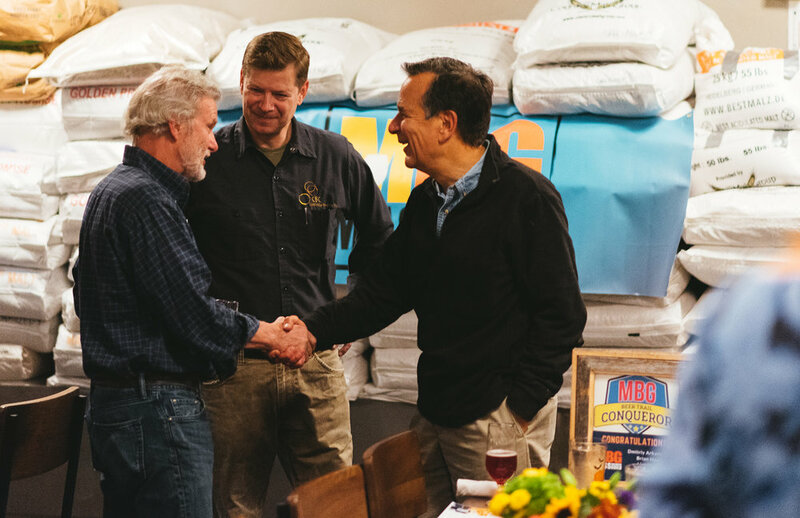 Founded in 2007 by a group of committed and passionate brewers, the Mass Brewers Guild, is organized for the purposes of promoting craft brewing and protecting the interests of craft brewers across the Commonwealth. The association is membership based and open to all Massachusetts breweries licensed by the federal Tax and Trade Bureau and the Commonwealth’s Alcoholic Beverages Control Commission. The nonprofit creates a community of brewers while shining light on the broad range of breweries and styles offered throughout state.Through industry and educational events, its mobile application beer trail map, and by providing resources and marketing support to brewers, the nonprofit works to highlight Massachusetts as a top travel destination for craft beer in the U.S. 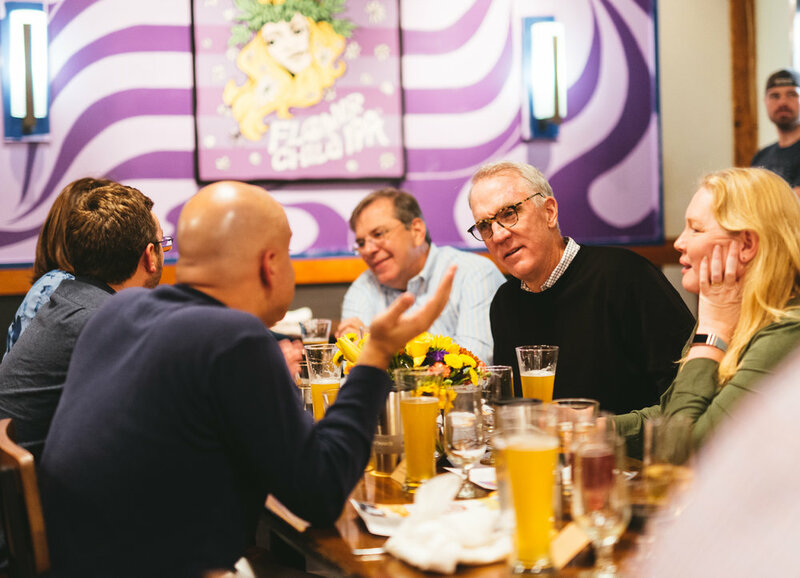 The board also continues its work at the legislative level, fighting for license and franchise law reform, and serving as the voice of craft brewers on Beacon Hill. The Massachusetts Brewers Guild is a 501(c)6 not-for-profit corporation. 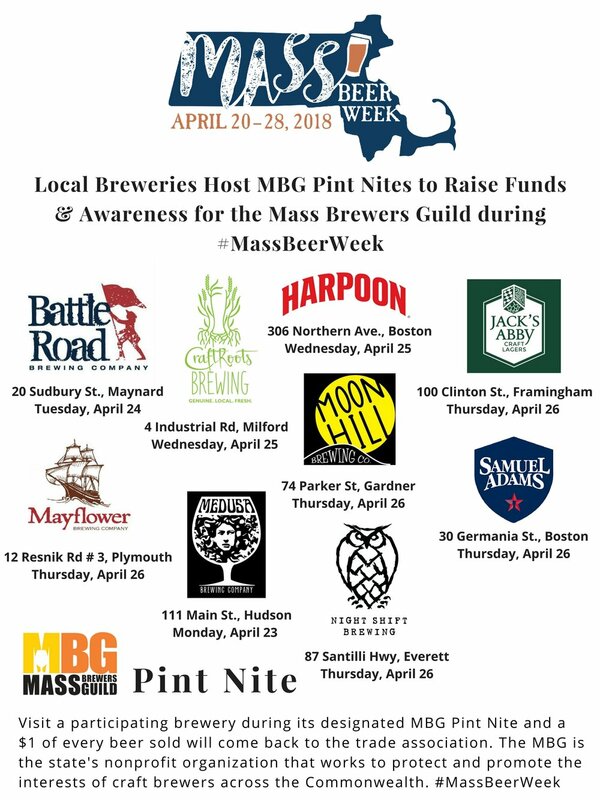 Local breweries are coming together to host “MBG Pint Nites,” with the goal to raise awareness and funds for the Mass Brewers Guild during Mass Beer Week. Mass Beer Week, held from April 20 through April 28, is the state’s celebration of locally made craft beer. All breweries, tap rooms, restaurants and bottle shops are encouraged to get involved in the festivities by hosting their own unique events. 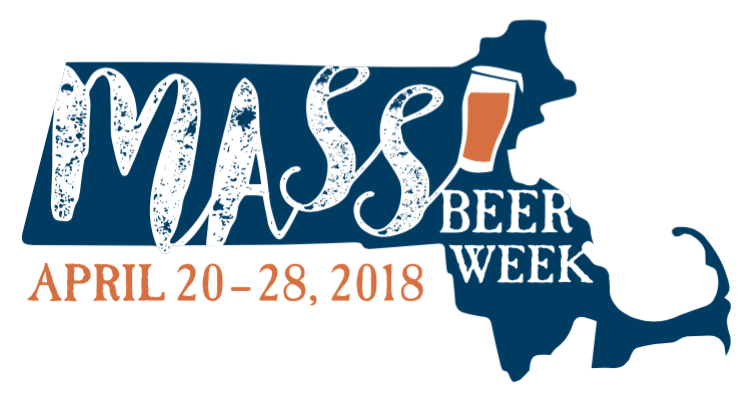 The only requirement to be involved in Mass Beer Week is that the event must focus exclusively on beer brewed in the state of Massachusetts. Battle Road Brewing Co., CraftRoots Brewing, Harpoon, Jack’s Abby Craft Lagers, Mayflower Brewing Co., Medusa Brewing Co., Moon Hill Brewing Co., Night Shift Brewing Co., and Sam Adams, will all hold a designated MBG Pint Nite during the weeklong celebration, where a $1 of all beer sales that day will come back to the nonprofit organization. The Mass Brewers Guild is the state’s trade association that works to protect and promote the interests of craft brewers across the Commonwealth. Be sure to share, and tag, your delicious beer on social media #MassBeerWeek -- For questions, or more information about the Mass Brewers Guild, visit MassBrewersGuild.org. (BOSTON --- 12 December 2017) Samuel Adams, New England’s leading independent craft brewer, has been named the “official beer of the Boston Red Sox.” Samuel Adams and the Red Sox have entered into a multi-year partnership, bringing together two beloved, Boston icons. In 1984, Samuel Adams founder Jim Koch hit the streets of Boston, going door-to-door to introduce bartenders to his new full-flavored beer, Samuel Adams Boston Lager. Sam Adams’ flagship beer, a leader of America’s craft beer revolution, was born in Boston. 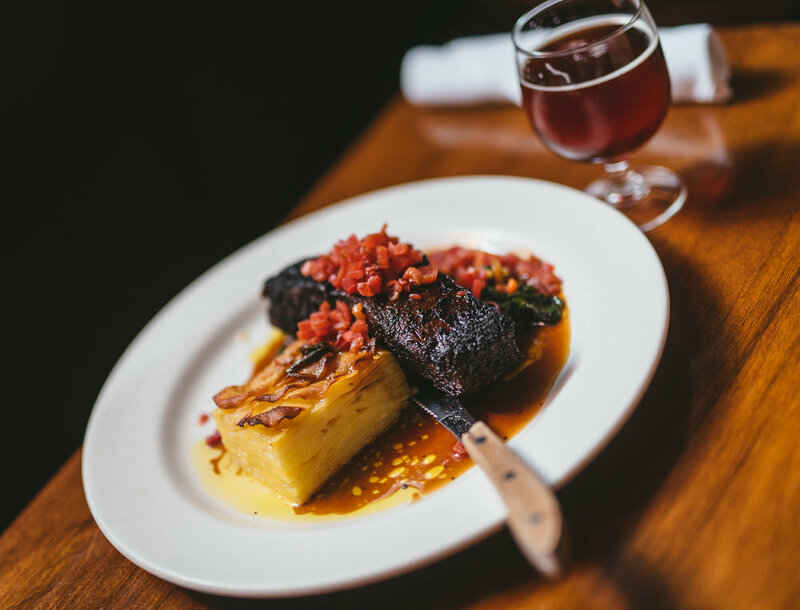 Many of the first bars and restaurants that carried the local brewer’s beer were around the Fenway neighborhood, giving special meaning to the new partnership. · In addition to crowd favorites like Boston Lager and Summer Ale, fans will be able to enjoy new brews launching in 2018 like the highly anticipated Sam ’76. · Visible signage throughout the ballpark including the iconic right field sign which last changed nine years ago. 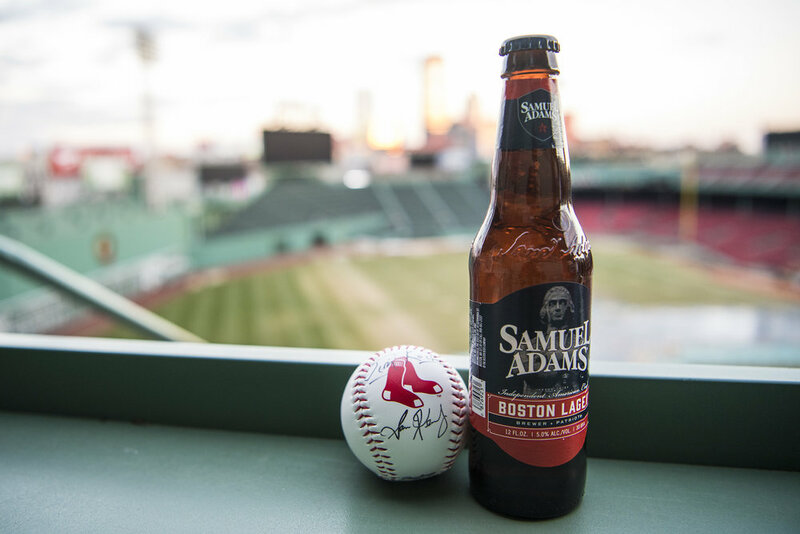 · As the official beer of the Boston Red Sox, Sam Adams will have opportunities to partner across New England and in Fort Myers at JetBlue Park. Sam Adams is the first American craft brewer to enter into a partnership with a Major League Baseball franchise, for this length of time and at this level. 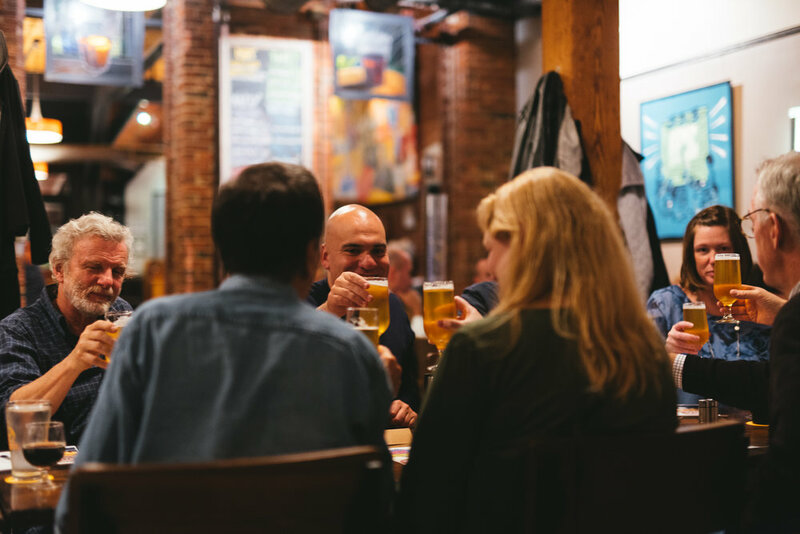 The move continues to highlight an important cultural shift as the popularity of American craft beer provides new opportunities for Independent craft brewers. This also marks the first professional team partnership, of this scale, for Samuel Adams. The local craft brewer has also been the official beer of the Boston Marathon for several years, and over the years has had limited sponsorships or other arrangements with the Red Sox, The Patriots, the Celtics and the Bruins. Since opening the Samuel Adams Boston Brewery, the brewer has donated beer and tour proceeds to support hundreds of local and regional charities, as part of its commitment as a New England neighbor. For more information regarding the Samuel Adams and Boston Red Sox partnership, visit: www.SamuelAdams.com. Samuel Adams is a leading independent, American craft brewer that helped to launch the craft beer revolution. 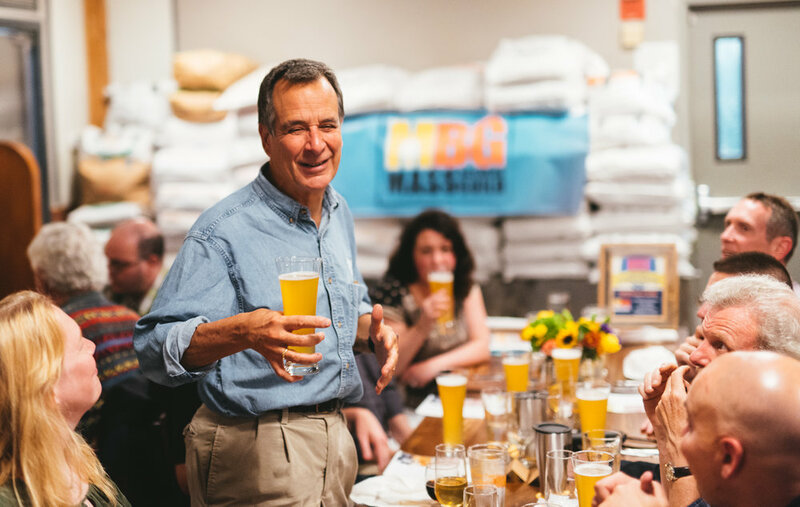 The brewery began in 1984 when Founder and Brewer Jim Koch used a generations-old family recipe to brew beer in his kitchen. 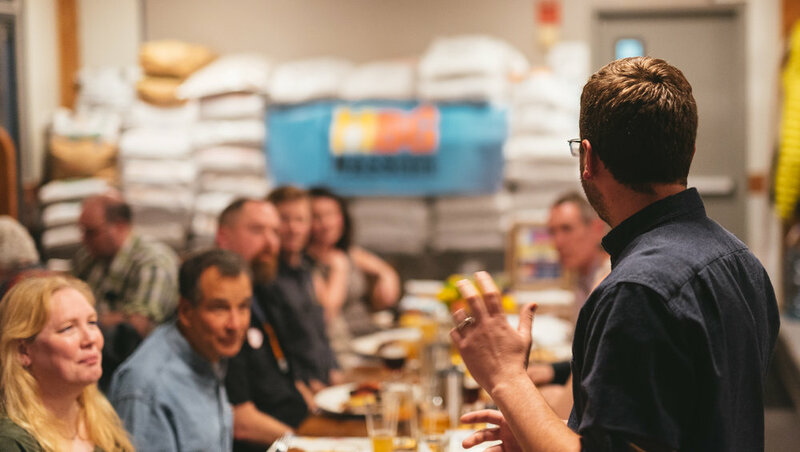 Inspired and unafraid to challenge conventional thinking about beer, Jim brought the recipe to life with hopes drinkers would appreciate the complex, full-flavor and started sampling the beer in Boston. He named the flagship brew Samuel Adams Boston Lager in recognition of one of our nation’s founding fathers, a revolutionary man of independent and pioneering spirit. Today, Samuel Adams is one of world's most awarded breweries and remains focused on crafting the highest quality beers through innovation and experimentation in the relentless pursuit of better. Samuel Adams remains dedicated to elevating and growing the American craft beer industry overall, including providing education and support for entrepreneurs and fellow brewers through its philanthropic program, Brewing the American Dream, which helps others pursue their American Dream. For more information, please visit www.samueladams.com.